Timâ&#x20AC;&#x2122;s Story Whether this is your first home purchase, home to sell, family estate home for decades needing to be sold, investment purchase or new construction plan, I can help you as your Real Estate Consultant...and there is an analogy which sums up my role pretty well: Gazing at the Class 5 Rapids of the Colorado River, one sees the tremendous power of it. But when one enters it, the power of the river is felt. A seasoned navigator guides you through to safety until you are ready to enter again. In similar fashion, when a customer begins the loan process or starts to wonder what the value of their home is worth, strong nerves and emotions happen. They are in the process of making the largest financial investment of their life. The experience of competing with other buyers or sellers can be a huge challenge in a competitive market as the DC/ Northern Virginia real estate market. And this is only the beginning... In sum, watching HGTV, going to Home Depot, browsing websites and hearing tales of real estate sales are common place. But when it is your turn to enter the Real Estate market, turn to the Professional who has the great experience to help you. And always know, the real journey begins once the sale is over. Itâ&#x20AC;&#x2122;s a good life! The Real Estate Professionals RE/MAX Allegiance was formed in 2003 with the merger of three RE/MAX brokerages, some of which date back to 1978. For 40 years since, we and our Associates have helped hundreds of thousands of families buy, sell and invest in real estate. 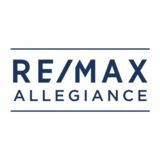 Today, RE/MAX Allegiance is recognized as the largest RE/MAX brokerage on the east coast and one of the most productive real estate companies in the United States. We are a full service brokerage specializing in residential sales, commercial sales, leasing and new development projects in the most desirable neighborhoods in Washington, D.C., Northern Virginia and Hampton Roads. Our team of top producing real estate professionals has access to innovative technology and marketing that allows them to achieve exceptional results on each client’s behalf. The experience of our real estate professionals and deep knowledge of the market allow us to deliver the best service throughout all stages of the transaction, ensuring the highest level of client satisfaction. Get the Local Charm Whether it is a preferred school system or a preferred shopping district, RE/MAX Allegiance Associates have firsthand community experience to help our clients make the most informed decisions. Local Means Local Local means that our leaders, managers and Associates live in our market area. This advantage is passed on to our clients. We strive to make sure that every resource we develop, and every dollar that we spend and every decision that we make creates value for our clients. We Close More Transactions at RE/MAX Allegiance RE/MAX Allegiance Associates averaged 60% more volume and nearly 40% more transactions than our closest competitor in the Greater Washington market. RisMedia 2018 Power Broker Survey. Comparisons made from metropolitan Washington-based non-RE/MAX companies that are listed in the top 200 (ranked by transactions). Each RE/MAX office independently owned and operated. 1 Includes Coldwell Banker Residential Brokerage. 2 Includes Long & Foster. Your Satisfaction Our Sellers Have Spoken and the Industry Has Noticed! For two consecutive years, RE/MAX Allegiance has been named one of the top ten real estate firms for service excellence by Quality Service Certification, Inc., an independent third party research company that surveys real estate clients. Allegiance Cares When it comes to helping kids, we feel we had a responsibility. That’s why in 1992, RE/MAX leveraged the power of our network to fuel a vital nonprofit, Children’s Miracle Network Hospitals. The cause started with a single telethon in 1983 and, with the backing of RE/MAX Associates, now supports 170 hospitals throughout the U.S. and Canada. Helping 62 kids every minute. Many Associates give on behalf of their clients after each transaction. Bit by bit, it has totaled up to over $157 million in donations. 1 Transaction sides per agent calculated by RE/MAX based on 2018 REAL Trends 500 data, citing 2017 transaction sides for the 1,752 largest participating U.S. brokerages for which agent counts were reported. Coldwell Banker includes NRT. Berkshire does not include Home Services of America. 2 Compass and eXp Realty totals are for residential transactions only and do not include commercial transactions; totals for all other brands include commercial transactions. 3 MMR Strategy Group study of unaided awareness among buyers, sellers, and those planning to buy or sell; asked, when they think of real estate brands, which ones come to mind? RE/MAX vs The Industry 2019 You have a choice in real estate. Choose the brand with outstanding agents, leading brand awareness and an unmatched global presence. Choose RE/MAX. Out of the top 100 brokerages ranked this way, 87 are RE/MAX firms. Their agents average 29 home sales in 2018. Productivity. That’s the sign of a RE/MAX agent. Based on 2019 REAL Trends 500 data, citing 2018 transaction sides and sales volume for the 1,757 largest participating U.S. brokerages (ranked by transaction sides). Averages calculated using brokerages that reported agent counts. ©2018 RE/MAX, LLC. Each office is independently owned and operated. *Source: 2019 Entrepreneur Franchise 500, based on statistics data from July 2017 through July 2018 provided by companies supplying a full Franchise Disclosure Document. The 2017 “Franchise 500” appears in the January issue of Entrepreneur magazine with rankings based on size and growth, costs and fees, support, brand strength, and financial strength and stability. A National and Global Network of Opportunity The RE/MAX network is in over 100 countries and territories, making international referrals a reality for clients around the world. The world is your city. RE/MAX Allegiance Associates cover Maryland, Virginia, District of Columbia and North Carolina. Global.Remax.com is helping global clients search for property on every inhabitable continent, Global.Remax.com displays listings in over 100+ countries and territories, over 60 currencies and over 40 languages. When it launched in 2011, it was unprecedented and remains so to this day. Homes qualify as a RE/MAX Collection home when the list price is twice the average sales price in your zip code. Collection homes deserve white-glove treatment with a refined look and show-stopping photography, and thatâ&#x20AC;&#x2122;s exactly what you will get. Maximum Exposure Local, National & Global Internet Presence An overwhelming majority - 93% of all home buyers search online before contacting an agent. Buyers also continue searching on their own while engaged with an agent. 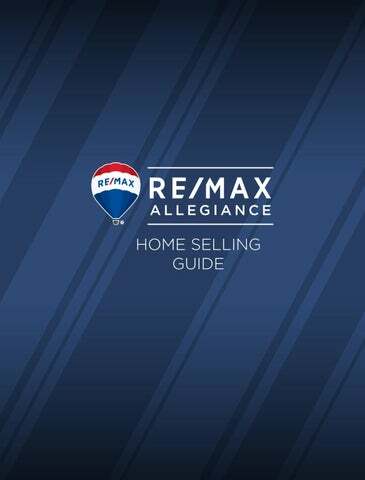 Having Internet exposure through RE/MAX Allegiance and the RE/MAX network is an unsurpassed tool to market your home like no other brokerage firm. *All listings will appear on all licensed brokerage websites along with all licensed agent websites. Marketing Tools Your home will stand out and be memorable by using highly attractive marketing material such as brochures, flyers, postcards, social media posts, ads, and more. This material will be professionally designed to showcase your home’s features and help drive buyers to put in an offer. RE/MAX Allegiance is a licensed real estate broker and abides by Equal Housing Opportunity laws. All material presented herein is intended for informational purposes only. Information is compiled from sources deemed reliable but is subject to errors, omissions, changes in price, condition, sale or withdraw without notice. No statement is made as to accuracy of any description. All measurements and square footages are approximate, exact dimensions can be obtained by retaining the services of an architect or engineer. This is not intended to solicit property already listed. Fabulous Capitol Hill row home with a tasteful renovation plus off street parking! Gourmet kitchen w/ stainless steel appliances, custom cabinetry, & granite counters. Features include spa baths, exposed brick, crown molding, built-ins, fire place, vaulted ceilings, private garden, tons of storage. Few blocks to Union Station, US Senate, Eastern Market, H St. A must see while it lasts! Open Sun. RE/MAX Allegiance is a licensed real estate broker and abides by Equal Housing Opportunity laws. Each oﬃce is independently owned and operated. Information is compiled from sources deemed reliable but is not guaranteed. All measurements and square footages are approximate. This is not intended to solicit properties already listed.